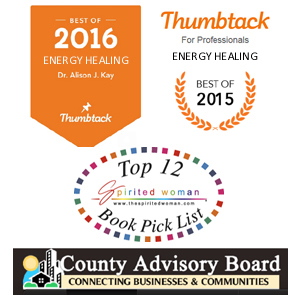 Dr. Alison J. Kay is an Award Winning, #1 International Best Selling Author in addition to being a Master Mind-Body Energy Medicine practitioner for more than twenty years. A world-traveler who was also both a teacher and administrator within The International School System in Asia for ten years, she intensively studied ancient practices that work with subtle energies & holistic health practices while there. Before, during, and currently she facilitates outrageously rewarding energy medicine sessions for clients worldwide – which has earned her the nickname “lightning bolt” due to the voltage behind her vibrations that she then uses on behalf of her clients. She is the founder of the Vibrational UPgrade System and her more than twenty years of experience includes working in and teaching yoga, meditation, chi gong, energy medicine, mind body fitness, longevity and holistic health with a specialized focus on the chakra system. Dr. Alison is considered one of the leading experts on using the chakra system as the road map for thriving in mind body and spirit, while applied in a unique way. In 2013 she authored her award winning book “What If There’s Nothing Wrong?” and in 2016 released her #1 International Best Selling book “Vibrational UPgrade – A Conspiracy for Your Bliss; Easing Humanity’s Evolutionary Transition” which are among the many products that she offers. She wrote four books as a result of what she learned. Her writing is geared for Americans’ (and Westerners in general) giving them her eyes and her experience so they can see for themselves there are other options out there so that we can see what else is possible to live a life in which we’re thriving. Interestingly, Dr. Alison’s departure from the states for this decade long journey (the third time she has lived outside the country) began two months prior to 9/11 watching it unfold from within the international community of expats in Asia, on through two years into Obama’s administration. It proved to be very interesting timing to have been “removed” from domestic living and which the insights she acquired she uses in her practice to benefit her clients. Dr. Alison’s clients and students span the globe. She has sought to help affirm the positive and beauty in this world, especially when they have been struggling with all the negativity we have in our reality now. She has a particularly unique ability to somehow have people feel safe almost instantly with her, and with this trust the process of opening up to one’s highest potential then begins. The journey can go through physical ailments, mental turmoil, emotional pain, spiritual seeking and typically does touch each of these levels as the healing is holistic. The outcome is that people remember how to relax, feel safe, and expand into peace and bliss – so they feel like they have come home. To learn more about if working with Dr. Alison is for you, click here. Beyond this nurtured feeling, people are then able to go beyond the tense limits of the ego personality so they can experience the freedom from living from this higher perspective, as Dr. Alison helps people transform their consciousness, by assisting them within their “everyday mind” – hence the holistic life coaching tools she supports her clients with after they leave her sessions, so that they can transform themselves and their lives one choice at a time. Dr. Alison’s professional training rounds out the entire Mind, Body & Spirit trinity. 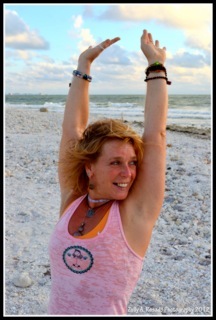 She has been a meditation practitioner & teacher for over 20 years and is an India trained, certified RYT-200 Ashtanga Yoga Teacher, Chi Gong instructor, energy medicine practitioner for 18 years, as well as a Certified Usui Reiki Master, a Certified Tibetan Adamantine Healing System Master, a Certified Advanced ThetaHealing™ Practitioner, Certified ACE Personal Trainer and an Access Consciousness Bars™ Facilitator. Click to view full list of professional accreditations & affiliations. During her private sessions she may use any of the modalities above including using elements of Chi Gong, Vibrational Medicine through Tibetan bowls and bells sound healing, brain entrainment sound frequencies during the sessions as “music,” and other vibrational medicine tools such as crystals, flower essences and essential oils. Dr. Alison has designed her own Vibrational UPgrade™ System to include these holistic modalities so that they all synergistically compliment and compound the healing effects gained through her energetically pristine, high-voltage Vibrational UPgrade™ energy medicine. In addition, she approaches her own strength training and nutrition from a holistic, mind-body and vegetarian approach. Dr. Alison has been an endurance athlete, weight trainer, pilates and yoga practitioner as a vegetarian now for 20 years; she is linked in with the raw food and vegan/vegetarian endurance athlete and longevity community within North America. This being also part of what she researched while working in Asia at an international school in Taiwan and traveling throughout Asia during her winter breaks, she learned from the ancient systems using subtle energy and nutrition for health and longevity. This rich experience has helped ground Dr. Alison’s self-care practice and her healing practice in a whole new level of power. Dr. Alison’s way of being, and her blend of experience, skills, training and education combine to enable her to translate both the Hindu yogic and the Buddhist teachings on the nature of the human mind, and the nature of how this impacts our bodies and our lives while also using cutting edge science to support comprehension, into a clear delivery with a concise, grounded and humorous style for the Western, globalized mind that helps her clients get out of their own way. Book – What if There’s Nothing Wrong?